Regi Grace was the Twins 10th-round pick in the June 2018 draft out of high school in Mississippi. The talented, hard throwing pitcher had a commitment to Mississippi State, but the Twins found a way to convince him to start his professional career (they went well over slot to sign him). Recently, Regi Grace was kind enough to take some time to answer questions for us. Continue reading to Get To Know more about a very young, very intriguing pitching prospect in the Twins system. Regi Grace was a multi-sport star in high school. Since signing, Grace was assigned to the Gulf Coast League. He pitched in three games and gave up zero runs over 8 1/3 innings. He hasn’t pitched since mid-July but tells me that the Twins know he’s already thrown a season, so they are working with him and protecting his arm. He is certainly one to watch in the coming years because he is blessed with a very strong arm. We do appreciate Grace taking time to answer our questions below, and we wish him the best of luck through the rest of the season going forward. .
Seth Stohs (SS): Growing up in Mississippi, did you have a favorite MLB team to follow? Who were some of your favorite players? Regi Grace (RG): The Atlanta Braves because of Fox Sports South, and also we had the Mississippi Braves in Theo to watch. Jason Heyward, Chipper Jones and Kris Medlen. SS: What were some of the better memories of your high school baseball career? Did you play other sports or were you involved in other activities? RG: Better memories were winning state championships and getting to know other really talented high school players. I was involved in track, basketball and football at one point in high school. SS: What was the recruitment process like for you in high school. You had committed to Mississippi State, but did you have a lot of coaches talking to you? RG:The recruitment process was interesting. I had coaches calling me wanting to attend their program, and if I told one No, he would not be the happiest camper. (lol) So it came down to what was best for me. 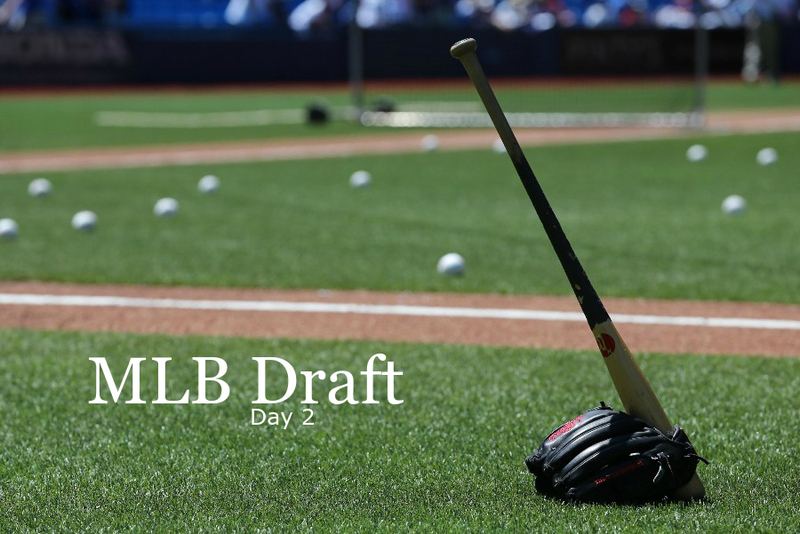 SS: Did you have the chance to speak with many scouts before the draft? What was your interaction with the Twins scout? RG: I had a chance to get to know each of the scouts that were interested in me, and me and Derrick Dunbar (my area scout) grew a relationship as time went on before the draft. SS: The Twins took you in the 10th round. Was that about where you expected to be selected? How did you find out that you had been drafted? How busy were your home and your phone at that moment? RG: Yes, sir. I was expecting at least the top 10 rounds and through prayers and hard work, I was able to achieve a goal. I was actually playing a basketball video game when I got the call I had been drafted, I said “Thank you,” and continued my game. The fourth quarter on 2K doesn’t play around. After I was drafted, I probably didn’t pick up my phone for the next hour. It was filling with texts and notifications and what not. SS: With the Mississippi State commitment, how difficult (or easy) was the decision to sign with the Twins? RG: It was a very difficult decision because I wanted to attend college, but I knew about the goal I had in mind and this is going to help me get that to goal I feel. SS: What has the adjustment like for you so far (admittedly very early), from the high school game to the professional game, both on and off the field? RG: On the field, it’s a whole new world. Bigger arms. Bigger bats. Quicker guys. So the game is really speeding up. Off the field, everything is very professional and have to adjust doing everything like professional nowadays, which is going to help me in life. SS: At this very early stage in your career, what would you say are your best tools and biggest strengths? RG: My biggest tool, I would say, wouldn’t be my arm because every guy down here has a 90+ arm, I would say that it is my ability to learn and adapt and be open to suggestions on my game. SS: What are the areas of your game that you would like to spend time working to improve? RG: I would like to learn how to command my pitches and pickoff move, and I feel like the staff we have here in the Minnesota Twins organization is going to help me. Again, a big Thank You to Regi Grace for his thoughtful responses to our questions. Please feel free to comment or ask questions below. Nice interview. I hope he pans out.